Anyone interested in becoming a borough councillor is being invited to attend a briefing session at Burnley Town Hall next month. 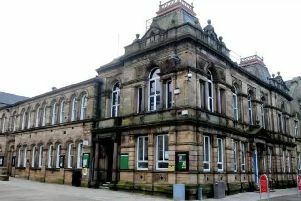 Local elections will be held on May 2nd when voters will choose who represents them on Burnley Council. An informal information session for anyone interested in standing as a candidate to become a borough councillor, or as an election agent, will be held at 5-15pm on Tuesday, March 12th. The briefing will include information on what it means to be a councillor, duties and responsibilities, how to be nominated to stand in the elections and a guide to being a candidate. Nomination information packs will be given to would-be candidates and agents. Nominations for the borough elections close at 4pm on Wednesday, April 3rd. You must be 18 years or older and meet some other basic criteria to be able to stand as a candidate. Alison Stirling, of the town hall elections office, said: “We’re encouraging anyone interested in becoming a councillor to come along to this briefing session and find out more.